Updates to Pamela L's profile since your last visit are highlighted in yellow. Been in Muskogee all my life. Married for 28 years. Time has been ticking by so fast that it was just yesterday when Debbie Rivard and I was wearing our green and white and riding on the hood of a car during Homecoming parade. Not riding on the hoods any longer, but still besties. Pamela L Tincher Isaacs has a birthday today. Pamela L Tincher Isaacs posted a message. Just wanted to say " Hi! " to everyone. 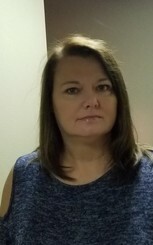 Pamela L Tincher Isaacs updated her profile. View. Pamela L Tincher Isaacs changed her profile picture. Pamela L Tincher Isaacs added a photo to her profile gallery. Pamela L Tincher Isaacs changed her "Then" picture. 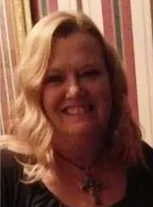 Pamela L Tincher Isaacs changed her "Now" picture. My daugher, Casey at age 6. She will be 10 in January.